The thing that surprised me the most about college was really just the increased amount of work. The workload increase was a lot more than I had anticipated in terms of reading assignments and essays. Although the workload was a lot, it wasn’t an impossible amount to handle, considering I had acquired the knowledge on how to tackle a project this big with my senior thesis. Personally, it was my transition from the sciences into the arts and encountering an entirely different world from what I was used to in terms of doing creative work instead of research projects. Along with this, I had to actually find ways to study the information I was receiving in order to do well in my classes which I didn’t do heavy amounts of in High School. What has been the biggest social/personal challenge you have encountered so far? Being in an environment with people whose backgrounds were fairly different from mine in terms of socio-economic and racial identities was the biggest social challenge. Making friends was not an issue because I was fortunate enough to enter a summer bridge program where I made many friends and connections. Additionally, finding a nice balance between work life and my school life was another challenge I encountered. From the events, to my job on campus, to the major I’ve elected, everything has been such an amazing experience. While there have been many challenges that have come my way, it has only made my experience better. I am finally studying what I’ve been wanting to learn more about, and I didn’t expect this to be such an amazing experience considering college isn’t necessarily catered to everyone. I’ve learned that I am more social and less shy than I thought because a shy person doesn’t actively seek new people to start conversations with hopes of building a connection. Not only that, but I’ve genuinely learned more about my value as an artist and a person, considering the transition from a school like DSST into an art intensive field. Surprisingly, the skills I’ve learned in my science heavy high school have helped me in ways I never knew would. Has this time changed your thoughts on what you want to do? Definitely, considering that in college, there are just so many people and so many different ways of applying who you are into those different fields. Learning about the options I can go into in my major along with making connections with people who I never knew I would connect with. I’m sticking to my arts, but considering my many options. I’m just as lost as I was in high school, but I feel like most “adults” are just winging their way in life. It prepared me with scholarships like DSF (Denver Scholarship Foundation) and COF (College Opportunity Fund) along with getting me into the Summer Bridge program here at CU Denver which granted me another four year scholarship. 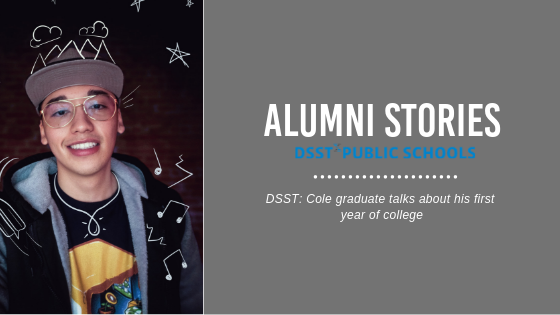 DSST helped me in so many ways but the most notable of them would be the scholarships, academic workload handling, grammar and writing, along with being able to voice any injustices or anything that doesn’t seem right. 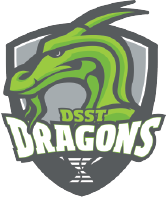 DSST helped me in many ways just by having staff that provided me with the education and genuine interactions over my four years at the high school. Yes. The graphic design program that I am in is one of the best in the state which I actually didn’t anticipate. Understanding the skill level I will leave with makes me feel confident that after graduation I can find a job or even become a freelancer, which I am right now. It only gets better from here, but not without the hard work I must put in. And this will probably be the hardest question here. The way I will answer this is by changing the question of what would I tell high school Aldo? I would tell him to never neglect the impact of scholarships because although one school year it might seem like everything will be peachy, you still have another three years to go and never know if it will be four, or a summer semester. Basically, prepare for the unknown with the knowledge you have and actively seek to make sure that your future self is going to be fine because it’s way nicer to apply to a scholarship than to get a loan. Make sure that you do things for you, not selfishly of course, but understand how willing you are and how you want to spend those four or more years in college. Everything comes down to a balance, but after graduating, would you want to graduate and spend your time learning and doing something that you do for others or for yourself. Unfortunately, our society has conditioned us to value certain careers and majors more favorably than others and many will influence your decision on a major and career. Do it for you because once it’s done with, you have to live with those decisions. Bringing all these things together, you have to fight for whatever dreams you want to get at because there are going to be so many obstacles in your way and life just doesn’t give you a heads up. The journey doesn’t have to be done alone and there are so many great people willing to help you reach your dreams or help remind you to stay motivated.